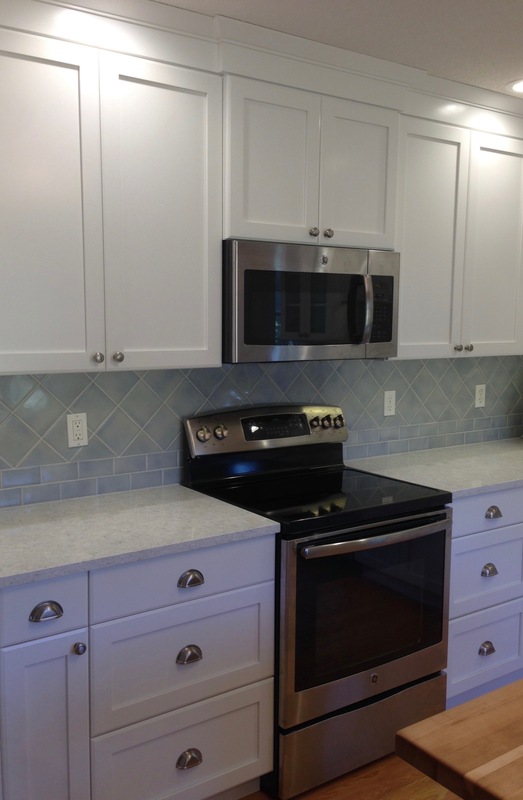 This retired couple wanted a space that better met their needs for cooking, entertaining family, and just enjoying their time together. 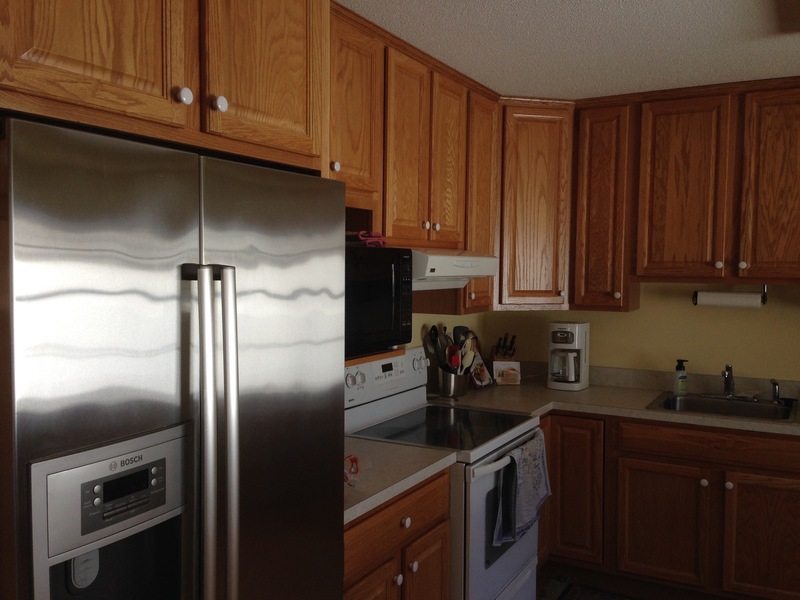 To achieve the desired result we tweaked the room’s layout, replaced their failing builder-grade cabinets with custom painted ones, and improved the lighting. 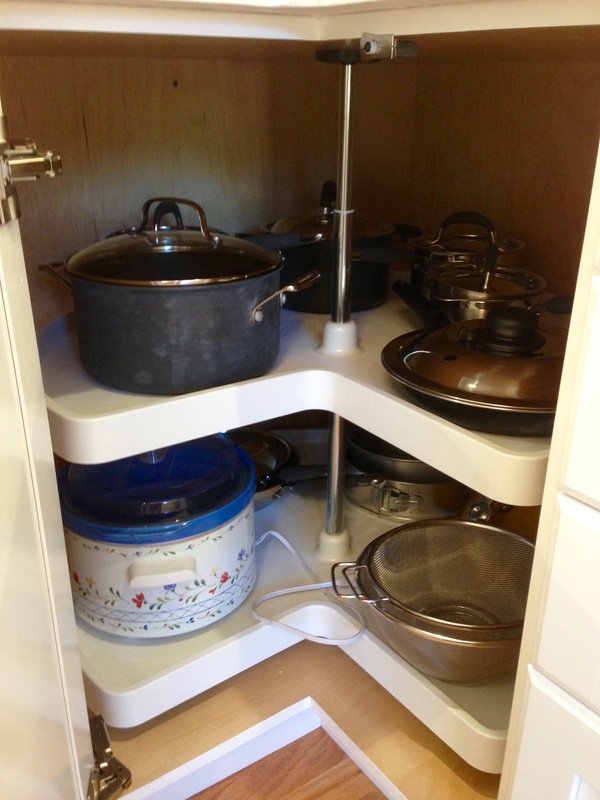 Plenty of storage and improved function in this space now. 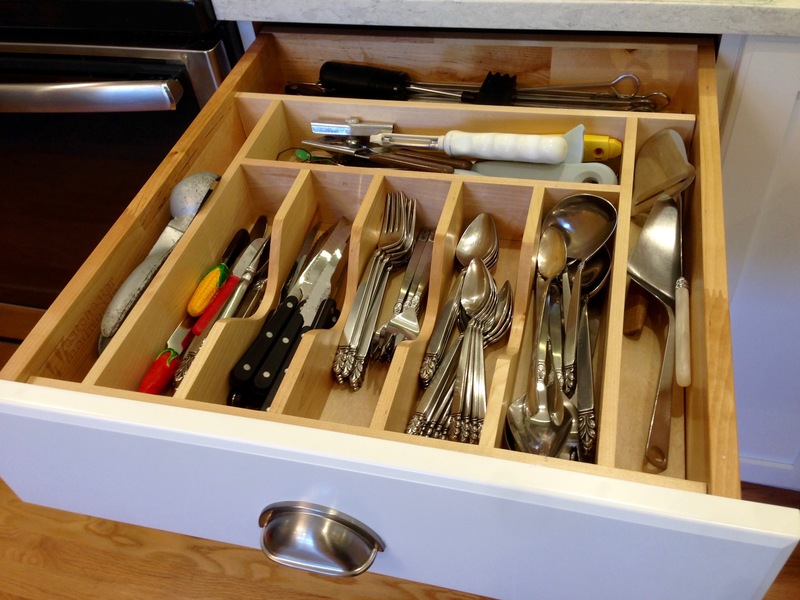 The kitchen had only one drawer before the renovation. 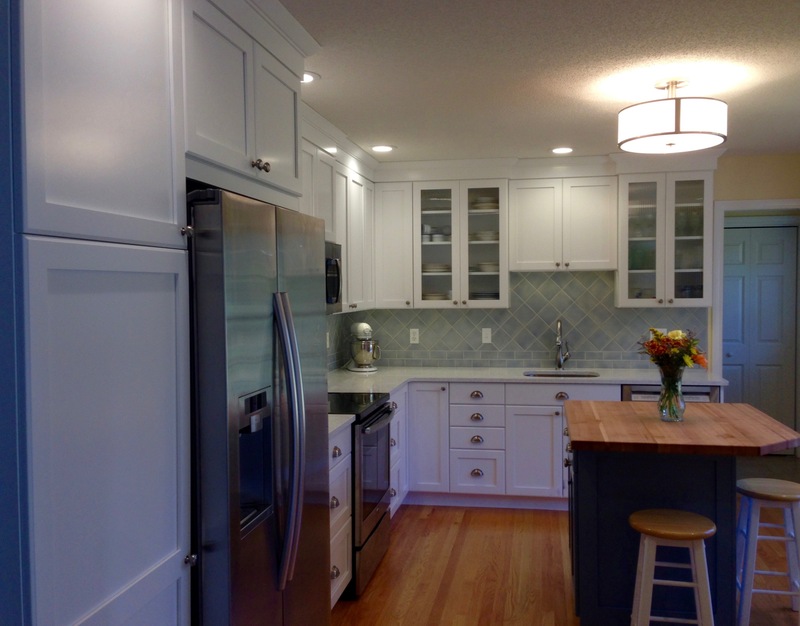 A new thoughtful layout eliminated awkward areas. 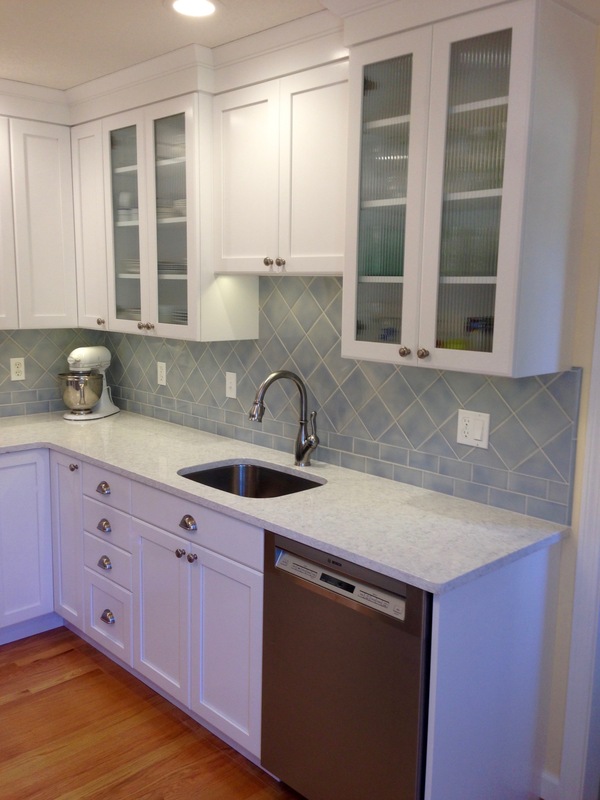 The much improved kitchen is a bright, pleasant space to enjoy. 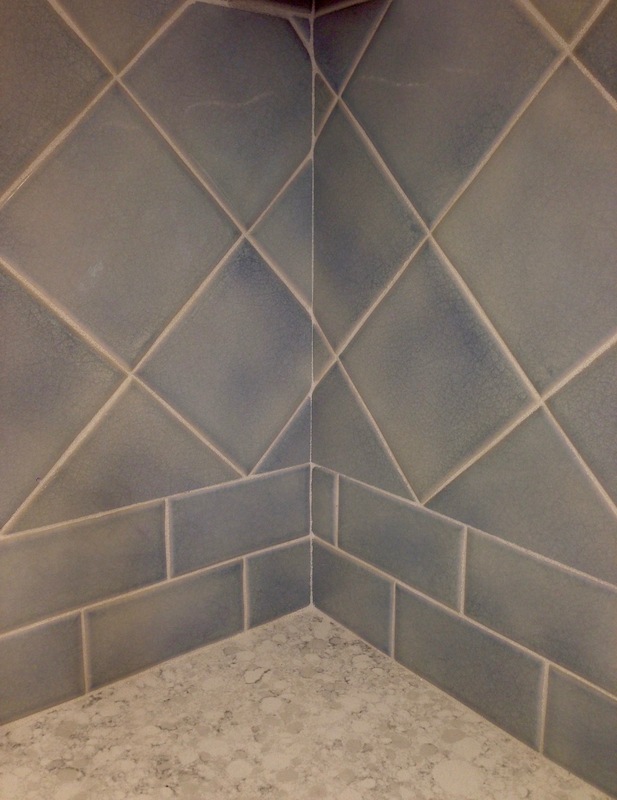 The tile coordinates with the Amsterdam blue on the island and bookshelf and charging station. 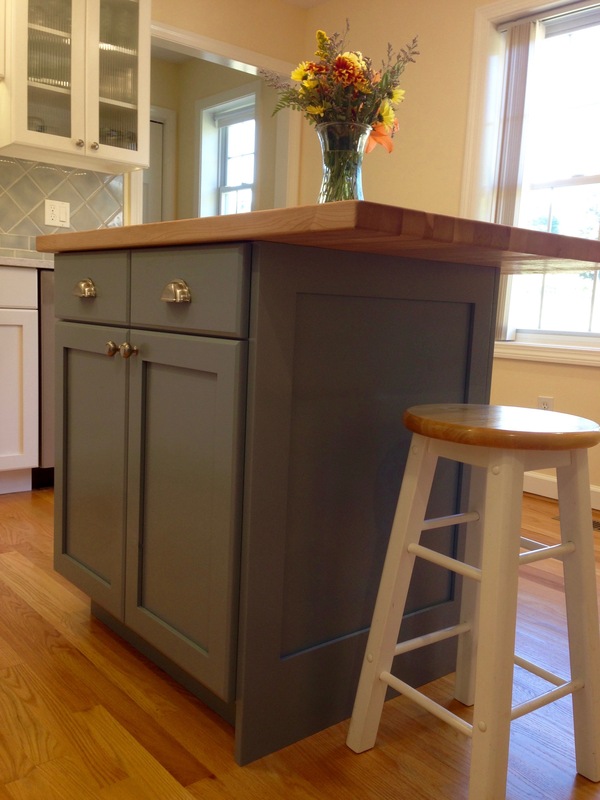 A new island has a butcher block counter, good storage, and comfortable seating for two. 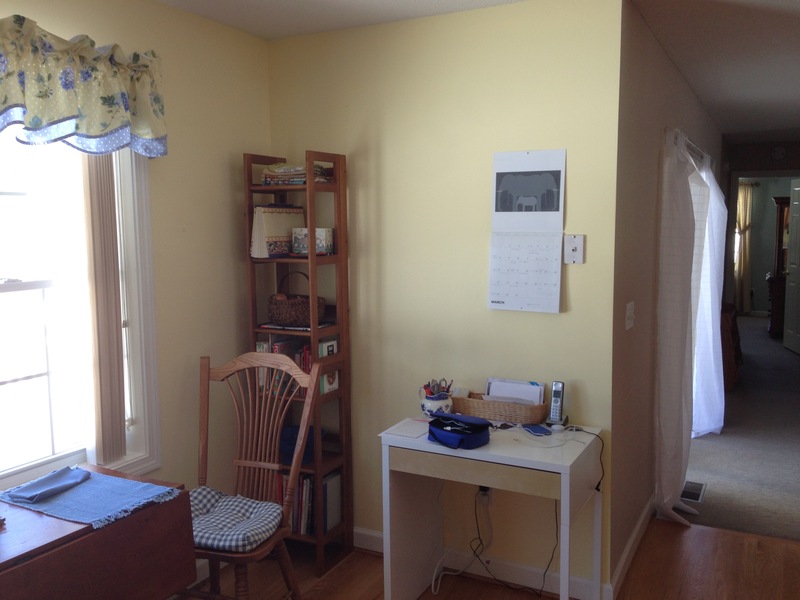 The charging station and bookshelf continue the function and look on this side of the room. 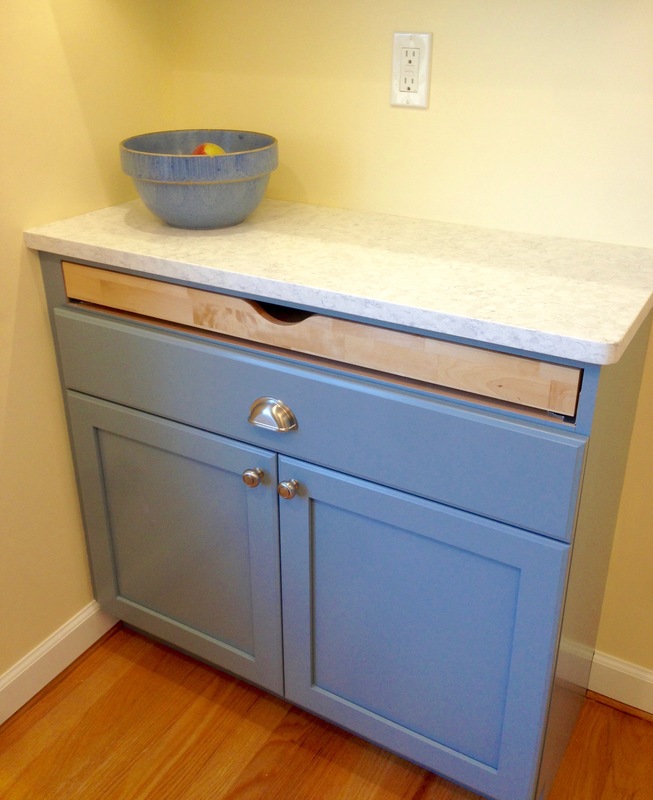 The maple drawer coordinates with the maple butcher block counter on the island. 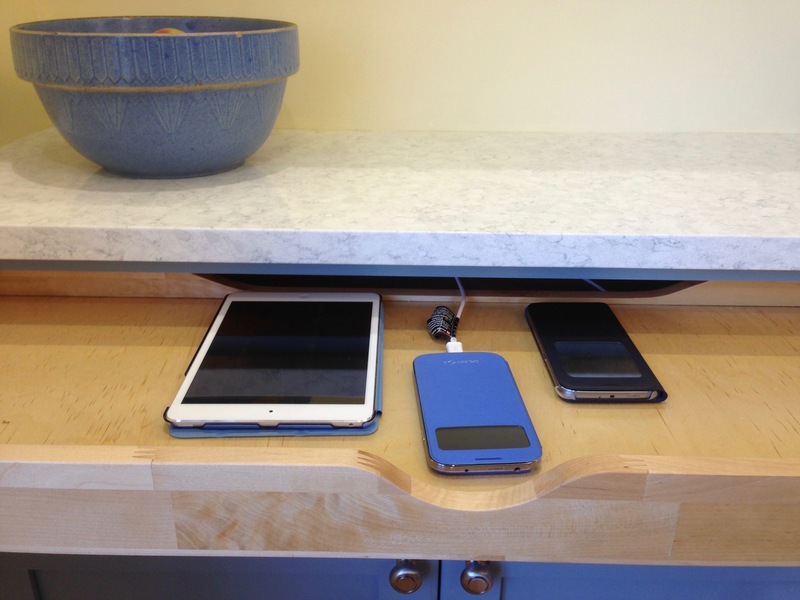 The one-off charging station keeps devices handy, but counters remain clear. 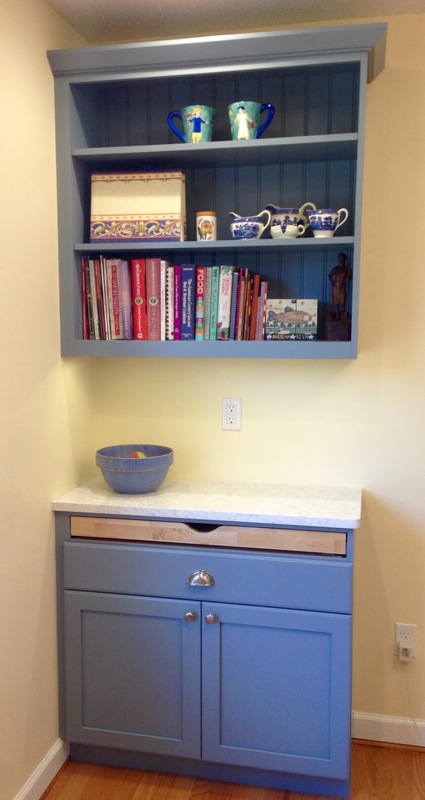 Cookbooks and items for display have a home. 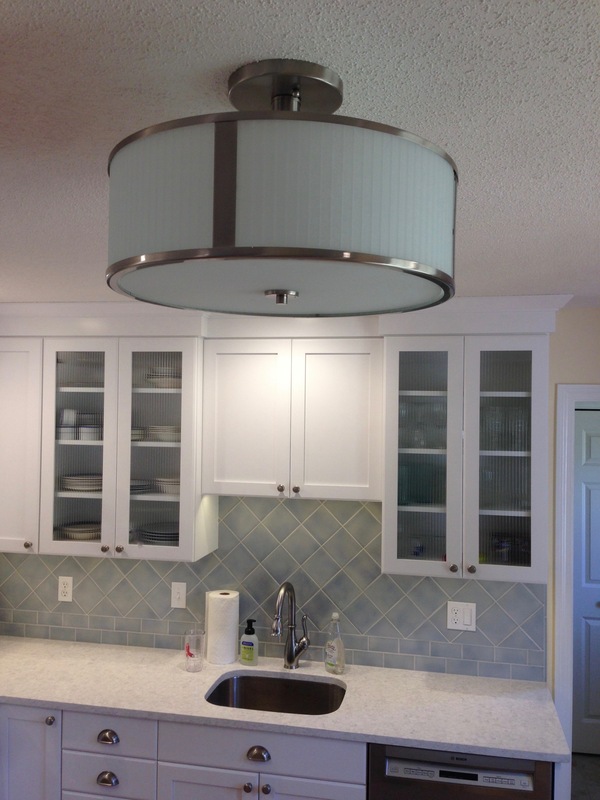 The new light fixture’s ribbed glass ties in with the ribbed glass in the cabinets while providing a generous amount of general lighting. 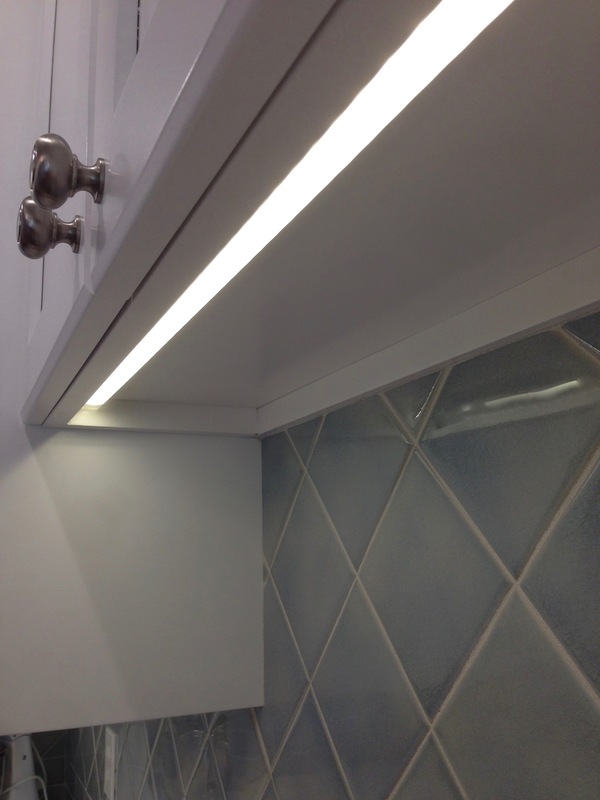 LED under cabinet lights brighten all of the counters. We specified deeper than usual roll-out trays in the pantry. 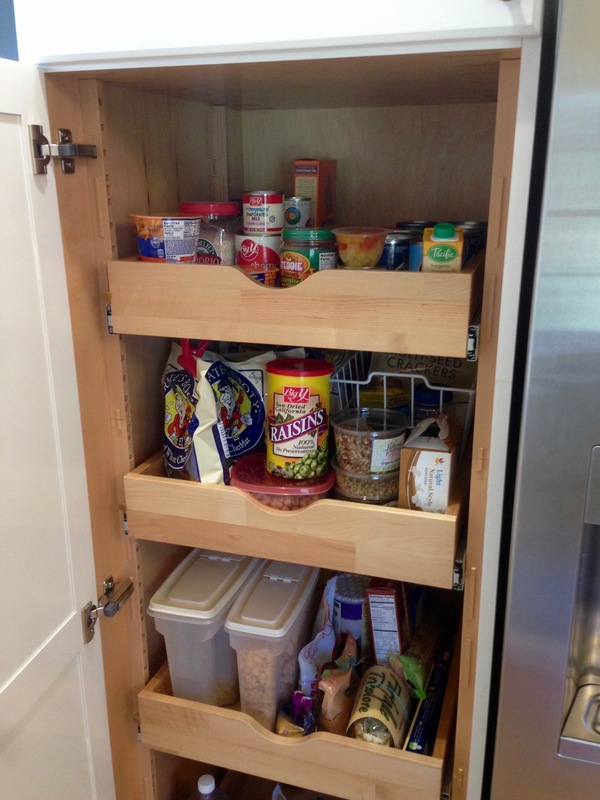 A lazy Susan maximizes storage in the base corner cabinet. 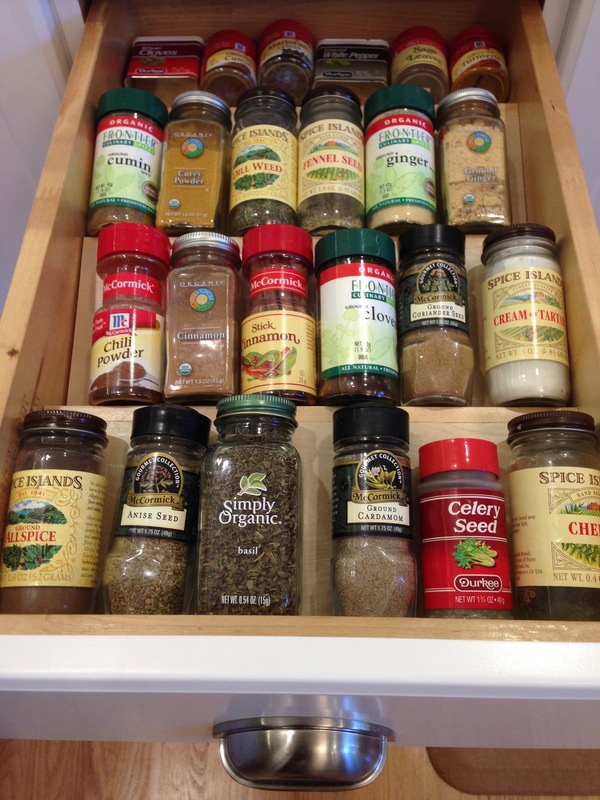 Spice drawer insert makes things visible and accessible. Before: we needed to move the stove and sink away from the corner a little to give a better work space in that important counter area. 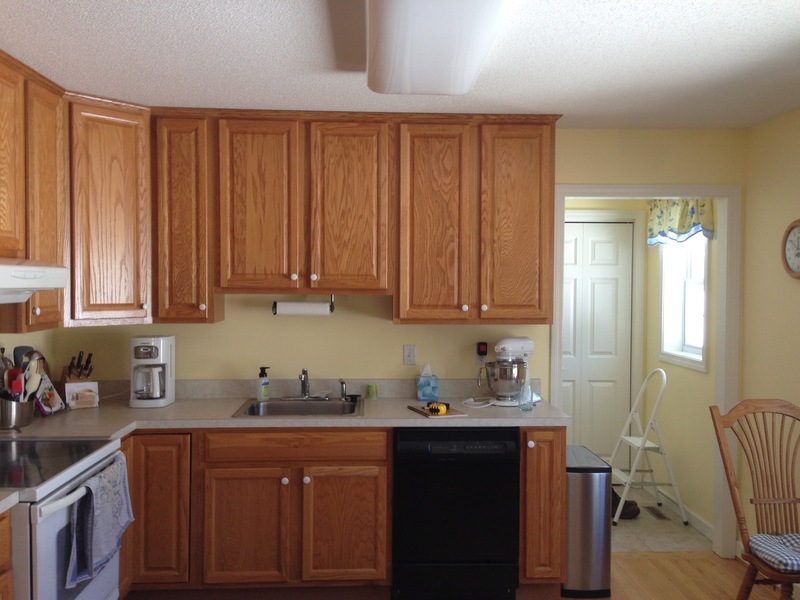 Before: this builder-grade kitchen only had one drawer and some awkward spaces. 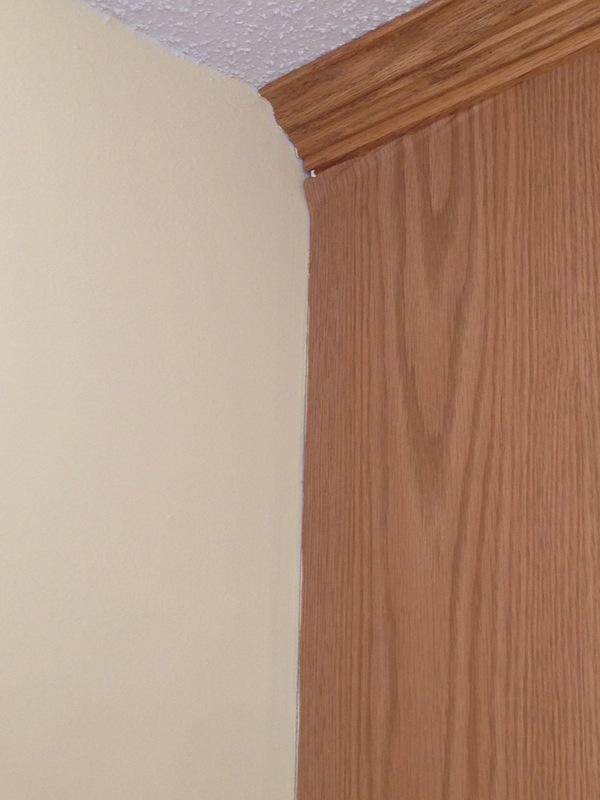 Before: the basic cabinets were failing on the insides, and here you can see the wood-looking adhesive finish is peeling away. 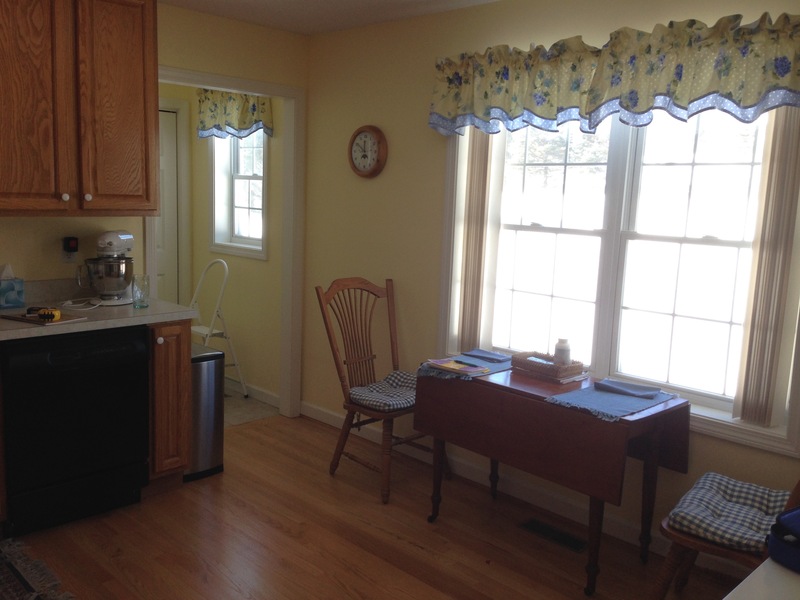 Before: the table by the window was replaced by a center island with seating for two. 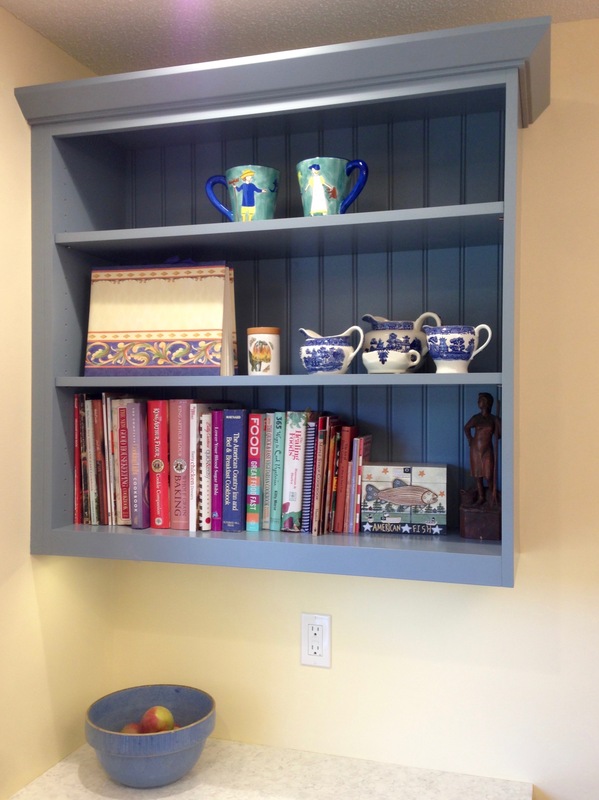 Before: we had a charging station and book shelf built for this area, improving the function and unifying the look.